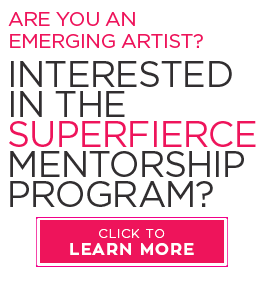 Founded in 201​6 ​by Washington, DC artist Maggie O’Neill, SUPERFIERCE is a movement within the art industry aimed at creating a foundation of support, connectivity and resources for female artists. More than half of the visual artists throughout the world are women, yet less than 5% of work displayed in major museums is created by women. This gross underrepresentation is the force that drives SUPERFIERCE in building a universal network of creatives whose common goal is to accelerate female artists’ careers. 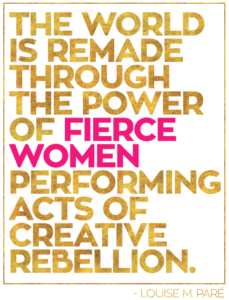 In providing both established and up-and-coming female artists the tools needed to succeed as entrepreneurs and business owners, SUPERFIERCE creates a pay-it-forward platform allowing its network to give back to the ever-evolving art community. 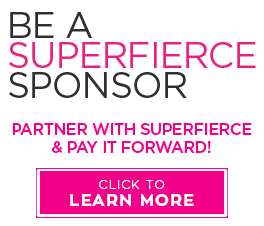 SUPERFIERCE will travel from city to city bringing visual exhibits, mentorship programs, expert panel discussions, and fundraising events in an effort to connect female artists. It’s time women were properly represented and valued in the art world. I began SUPERFIERCE because I wanted to create something I couldn’t find when I started my career. 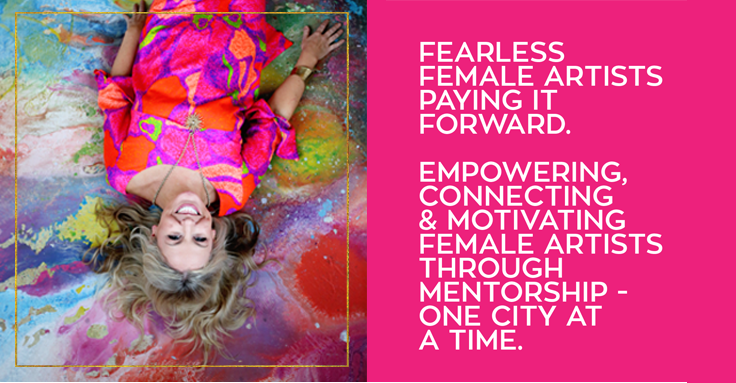 I collaborated with my network of fearless female creatives whose common goal was to expand our network. We came together to create a pay it forward platform of connectivity, solidarity and mentorship for other women artists. We want to change the statistics in our field. We are creating a support system and foundation for female artists to grow as both creators and business owners, and giving back to other women in their professional communities. I invite you to join me and many other amazing partners in this movement. A traveling art exhibit highlighting the work of each host city’s most exciting and inspiring women artists. Activations and partnerships creating hands on experiences including public art installations, service-oriented activities and charitable events. A mentorship program that will connect aspiring female artists to resources and relationships that can provide professional counsel and connect opportunity.